Home » IPod Touch » iPod Touch Help » How to Fix iPod Touch Error 1611? Recovering or restoring an iPod Touch can be risky. When you want to restore your iPod Touch on the original settings outlined by Apple Inc., you can no longer get the files and applications you have installed. It is therefore important to create backups first before doing the restoration process. Moreover, restoring an iPod touch may also provide threat to the users as the device can no longer be usable if the process is not taken on the appropriate way. Errors may also come along the way which will really stir the brains of the users, not to mention the anxiety that their device may not be used again. One of the issues that iPod touch users may encounter during the restoration is the error 1611. The error 1611 is not only applicable to iPod touch but to other Apple Inc. products as well. It means that iPhone, iPad, and iPod can also get the ipod touch error 1611. If pod touch error 1161 involves the restoration process, it also involves iTunes. Error 1161 is another iTunes error because it is the only application an iPod touch can be restored. The following is the error message of the 1161. I guess you might have been confused on the differences between the Restore Mode and Recovery Mode. Obviously, when an iPod touch is in a restore mode, it is currently undergoing a restoration process or update. On the other hand, recovery mode is an iBoot failsafe that is employed to upgrade the firmware or reflash a new operating system to the iPod touch. The one controlling the restoration is the iTunes. 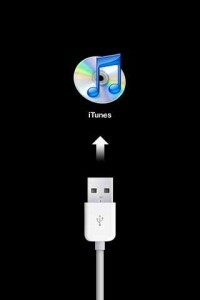 The iTunes will prepare, verify and update the iPod touch and its firmware. READ Why Check Out the Your iPod Touch Manual? To fix the error, try the following tips. Don’t use hubs and extensions in connecting the iPod touch to the computer. Be sure that the Universal Serial Bus (USB) cable used is working. You need to make sure that there is an ample battery level to use in the process. Please make it sure that you have the latest iTunes application during the process. You need to update iTunes if you have an outdated version. If not, you can download the latest installer at Apple Inc.’s official website. In running the iTunes, check the Task Manager (for Windows operating users) whether Bonjour and Apple Mobile Device service are running. You also need to have an operating system which has compatibility with iTunes and Apple Inc. devices such as the iPod Touch. Don’t connect other USB devices during the restoration. Here is what you need to do so that you will know how to fix iPod touch error 1161. Try restarting the computer and the iPod touch. After restarting, try connecting the device into another USB port. You need to use the device firmware upgrade (DFU) mode before connecting the device to the computer and synch it in iTunes. If you think iTunes is problematic, you can uninstall the program and reinstall it again. Check another error like iphone or ipod touch error 1611 such as iphone error 1015.